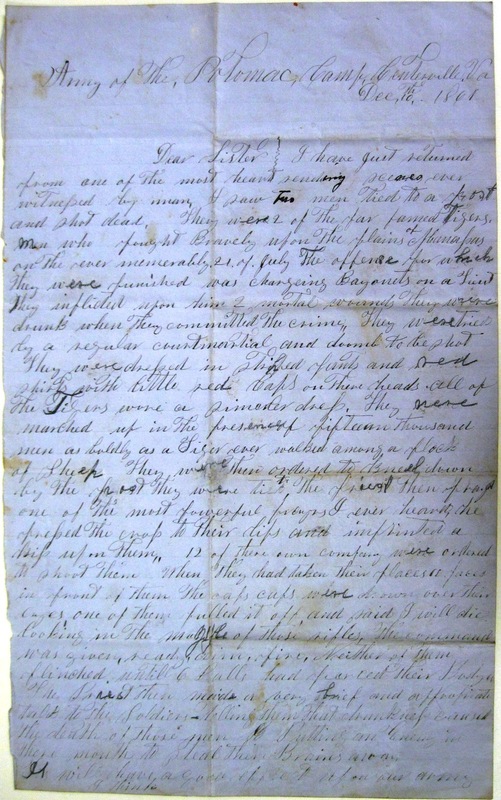 Item description: Letter from William C. McClellan, a private in the Confederate Army at Camp Centerville, Va., to his sister Matilda McClellan in Shoalford, Limestone County, Alabama. 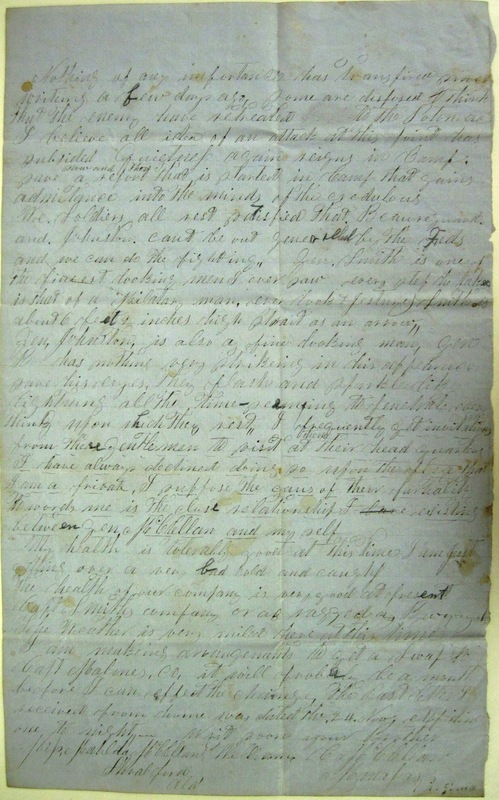 His letter describes routine news from camp, as well as the execution of two Louisiana Tiger soldiers for drunkenly bayoneting a lieutenant. This entry was posted in Southern Historical Collection and tagged Centerville, execution, G. W. Smith, General McClellan, Joseph E. Johnston, Louisiana Tigers, P. G. T. Beaurgard, Virginia. Bookmark the permalink.